Aileen Doherty is leaving the island of Ilaunmor for the first time. She can’t wait to leave the confines of her sheltered life to go on her first adventure, tattie picking for the summer in Scotland, with her father and two older brothers. What she hadn’t bargained for was meeting the irresistible Jimmy Walsh, who falls for flame-haired Aileen the moment he sets eyes on her. Spending each day working together side by side, Aileen and Jimmy fall passionately in love, until their happiness is cruelly cut short by a tragic accident which will change their young lives forever. 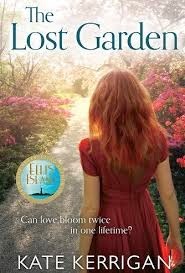 Back on Ilmanour, Aileen find solace in reviving an abandoned garden which has been left as lonely and bereft as she has. Gradually, through the magic of hope, Aileen brings the garden back to life - and herself with it. But it takes a true miracle to finally heal her broken heart. The Lost Garden is a mesmerising story about loss, friendship and the power of true love. The Lost Garden is published by Pan and is available in paperback and ebook format. “May the best person win,” House Speaker John Boehner, ted baker outlet a Bush supporter, approximately echoed when asked about Romney. Two weeks into the new year, Sen. Rand Paul was already schmoozing with New Hampshire state lawmakers in Murphy’s Diner in cheap ted baker dresses Manchester. Just one day earlier had come the announcement that Chip Englander, who most recently guided Bruce Rauner to victory in Illinois' gubernatorial race, would serve as Paul’s campaign manager —ted baker dresses sale if there was to be a presidential campaign, Paul's aides cautioned with rhetorical winks. Recipies For A Perfect Marriage.